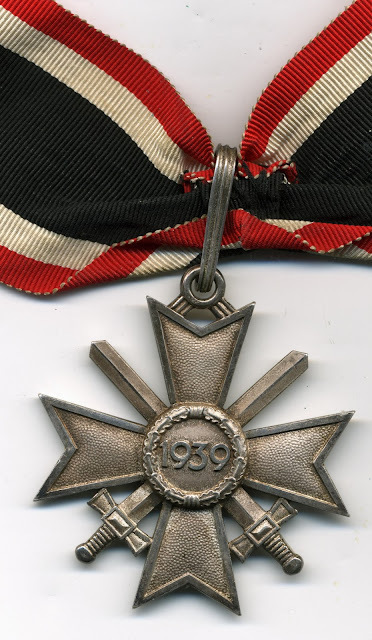 Ailsby Collection: War Merit Cross, Knights Cross Silver with Swords. War Merit Cross, Knights Cross Silver with Swords. This award takes the basic design of the War Merit Cross Second Class with Swords but is larger, measuring 54 mm across the arms and the oak leaf wreath measures 18 mm. The width of the arms of the cross is 3 mm. This cross was identical to its non-combatants counterpart, save that it had the swords added as was its date of institution 19 August 1940. It was usually produced in genuine silver, with the silver grade ranging from .800 through to .950 which can be found punched into the edge of the lower arm of the cross in the recess of the V. Sometimes the maker's mark is situated on the lower arm of the cross in the recess of the V, as in the former described position. But in some examples the cross is produced in a base metal that silver-plated and these examples just have the maker's number on the lower arm. The upper arm has an inverted V attached to it, with three lines on each arm and with an eyelet at its apex. Through this eyelet is a ribbed hanger which supports the cross on the neck ribbon. As with all Knights Crosses it was worn around the neck. The ribbon comprises of a 46 mm band formed from stripes of 4 mm red, 4 mm white, 22 mm broad black, 4 mm white and 4 mm red. For the examples of the cross that were awarded, the ends of the ribbon were turned over into a triangle with a length of minute ribbon at each end to act as ties to secure the ribbon around the neck of the recipient. 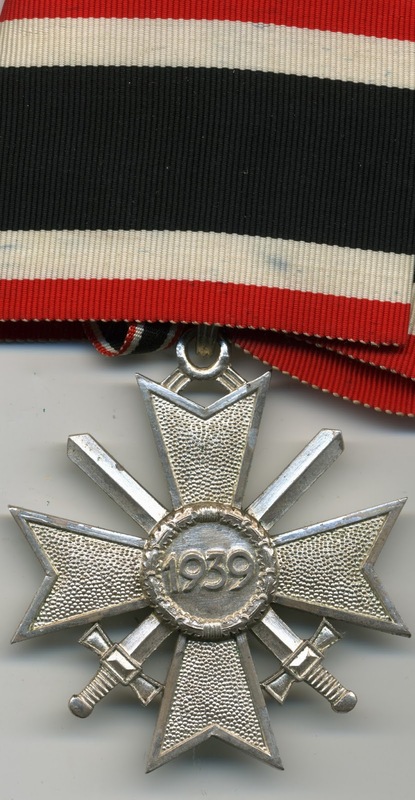 This order was intended for award to military, administrative personnel and civilians who had served bravely in combat or in the direction of the war but not where an award of the Knights Cross of the Iron Cross would be warranted. It was necessary for the recipient to have been awarded the War Merit Cross with Swords First and Second Class. 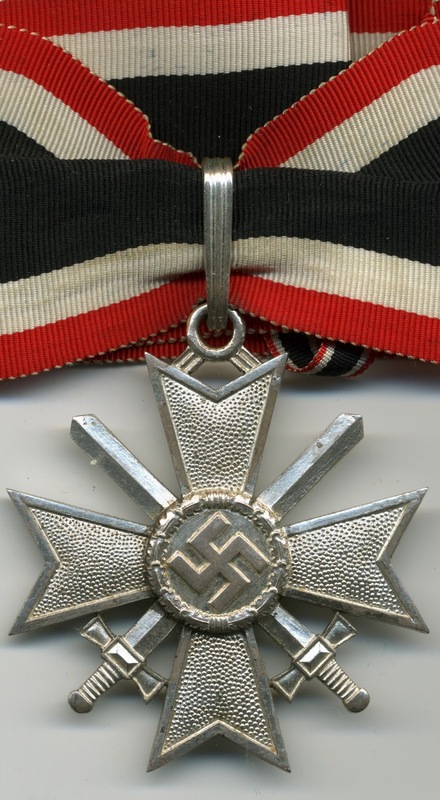 The award ranked in precedence over the German Cross in Silver but below the Knights Cross of the Iron Cross. It is estimated that 211 of these Knights Crosses were awarded during the period of the Second World War. However, not all recipients of the award were gazetted. This was to protect the anonymity of the recipient and the work in which they were engaged. 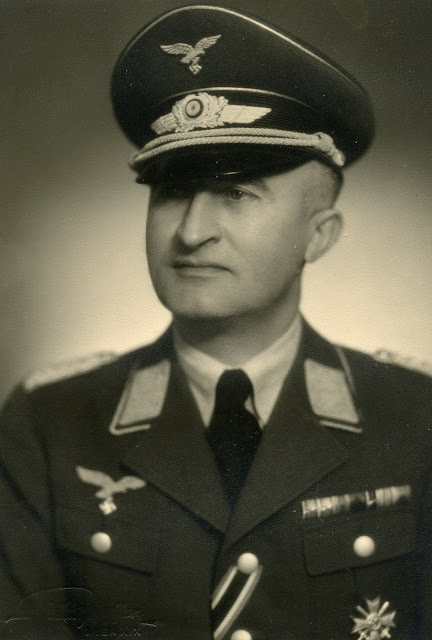 Such was the case of Dr. - Ing Ernst Blaicher, who was awarded the cross on 15 November 1943 for his work in tank production. 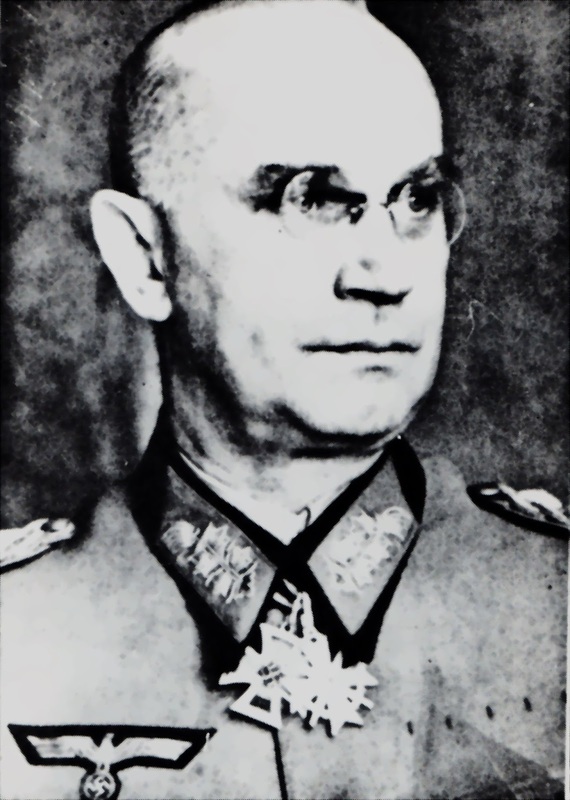 A further bestowal which was not gazetted is to Oberstleutnant Othmar Wolfan who was on the staff of 'Kommandierender General der Deutschen Luftwaffe in Finland, who was recalled from Finland in the closing days of the war to Berlin to receive an important post and decoration. His niece asserted that he received the award and then went into Russian captivity for his troubles. Otto Stapf - General der Infanterie, Chef Wehrwirtschaftsstab Ost . War Merit Cross, Knights Cross Silver with Swords 9 September 1944. He also has the Cross, Knights Cross of the Iron Cross. 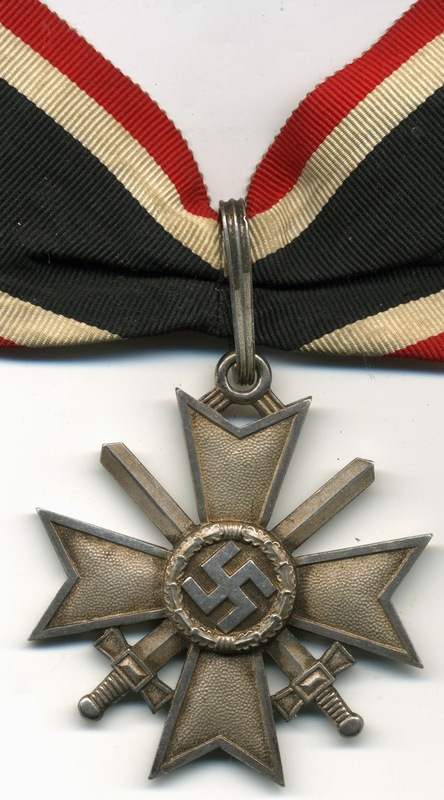 War Merit Cross, Knights Cross Silver with Swords Recipients.